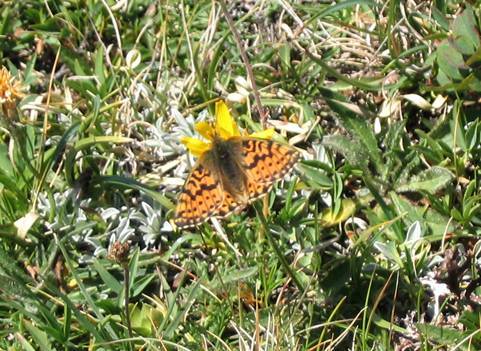 This is a small fritillary which is often fairly abundant above the tree line around 2200m-2300m but difficult to get hold of for a photo. 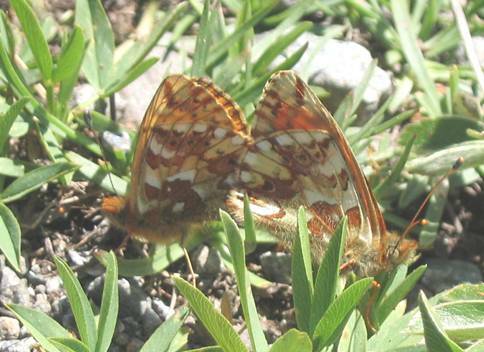 The photos show butterflies with rather macular black markings on the upperside so are probably ssp.pales and not ssp.palustris though I'm not certain about the theoretical geographic separation of these subspecies nor if there are are clines with gradually thickening markings. Moreover the uppersides on this page would seem to be females which probably would show bolder markings. 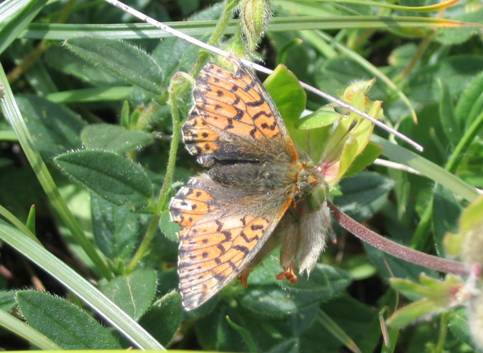 Mountain Fritillary is also similar but has very linear markings in the male and the female is quite different with a grey/green suffusion on her wings. From these photos maybe the best pales/napaea separator comes from looking at the two sub-marginal rows of black dots on the forewing which are clearly closer together on arrival at space 4. Napaea may be more parallel to space 6 though it's not a feature that really sticks out at you!